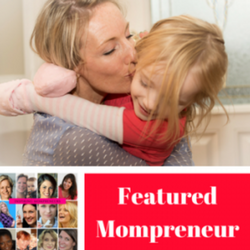 Are you a Mompreneur with a fabulous invention, business, product or service? But no-one knows about you yet? Let me help you shout your message from the rooftops. This is an interview with the express purpose of promoting YOU. I want to know your story. Your triumphs. Your challenges. Your hopes. Your fears. Your message to the world. And then I want to help you broadcast it. I want to help you shine online. 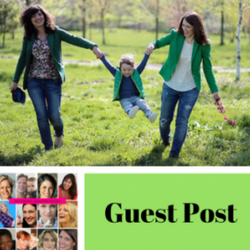 You become one of our Featured Mompreneurs. You get my time and attention for the next 21 to 30 days. See Examples of Previous Interviews here. I had the pleasure of purchasing Lauren’s service. It was an awesome experience from start to finish. She made me feel so comfortable and like a superstar. Her interview process is so much fun! What I got from the process was so much more than I expected. Her social media posters made me feel like a serious star! It was awesome to see the comments from my interview and how much I inspire other women! If you are looking for a serious high quality service that gets you a lead reach beyond your own warm market this is It! I think her product is an absolute bargain for the quality and level of service you get! I would highly recommend Lauren and and am looking forward to working with her on a future project!! Thank you Lauren !! Thanks so much for your 5 Star Review, Jackie. You inspire me! I really enjoyed your interview.